I spent some time this week planning a family trip this summer to Yellowstone. In order to get my children excited about it, I searched online for public domain photos of Yellowstone so I could show them something of what it would be like. Naturally, some of these photos leaked into my inspirations for the week. One of the aspects of Yellowstone that has always fascinated me are the geothermal aspects. Hot springs, steam coming from cracks in the rocks, and other such elements are an impressive indication of how the earth is so alive deep inside. It’s moving and heating up and the moving parts are crashing into each other. Thanks to Kevin Saff for the image. I’m planning (or helping to plan) three different trips in the near future, and I’ve found TripIt to be incredibly useful for doing this. All you have to do is sign up, get a TripIt email address, and forward emails related to the trip to that account. It does a really good job of extracting the necessary data and creating a neat little trip itinerary for you that’s easy to print off or take with you on a mobile device. It’s just a great idea, and it works really well. I live in Iowa, where the land is quite flat except for the rolling hills in the northern part of the state. When I saw this picture, I couldn’t help but enjoy how radically different the geography is just a few states away. Nothing in Iowa looks anything like this. Thanks to Bill Bouton for the picture. There are so many amazing sights to see in the United States that I’ll never have time to see all of them. There are enough sights within two states of where I live that I could fill up summer trips with them until our children have children of their own. The United States is a varied and beautiful place, well worth exploring. Many of the rock formations at Yellowstone look almost otherworldly, like this one. It took an amazing confluence of natural events to cause such stunning and strange beauty. Thanks to Pascal for the image. I have been burned by trusting people too much in the past. On the whole, I don’t regret it. Some of the best experiences in my life have resulted from trusting people, sometimes even a bit against my better judgment. One feature that’s particularly amazing about natural springs is that they often build up bacteria and algae that can resist very high temperatures. 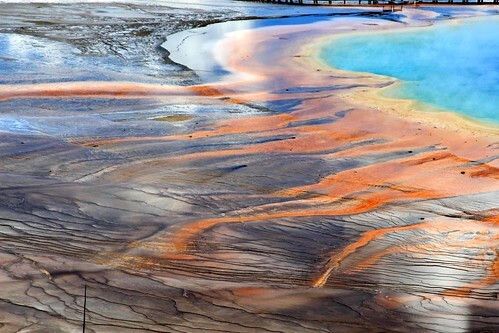 These oddities of nature often take on very unusual patterns and colors, like this one at the Grand Prismatic Spring. Thanks to Frank Kovalchek for the image. I’ve really never found a better description of a free society than this one. The less free a society is, the less power someone who is in a minority (whether of opinion, race, creed, or anything else) has to speak out or to operate as an equal member of society. One of the great things about our national park system is that it affords people the opportunity to observe many different animals and plants in something very close to their natural habitat. This gives us the chance to see that, in a lot of ways, animals aren’t that different than us. 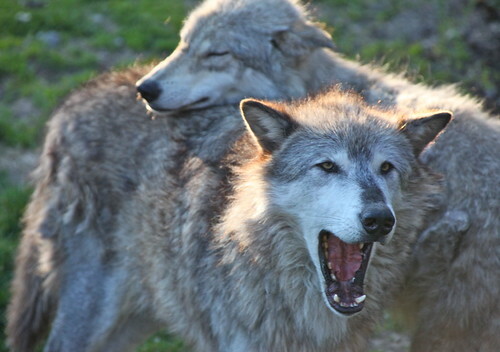 This is a wolf couple exhibiting pair behavior, for example. On a good day, this is exactly how I feel when I’m working. I think that’s a fine measurement of professional success.